There is a hierarchy in every organization that positions the CHRO reporting to the CEO. So, to a large extent, the CHRO must service the needs/demands of the CEO. That said, if you have a ‘C’ in your designation, if you're a Chief-anything, then, in addition to following your CEOs directives, you also have a responsibility to be the Chief of your Function. When these twin components (service to the CEO + service to the function) of the CHRO role are in alignment, one can expect smooth sailing. But when the objectives of one differ dramatically from the other, we find organizations getting mired in the choppy waters of discord. Conflicts are generally of two kinds: timing (the CEO often wants things to move faster than is feasible) and approach (the HOW of the execution plan). The CHRO must be brave enough to put forth his/her position even if it does not fully align with that of the CEOs. S/he must be a solid anchor with a depth of understanding in how the function operates, and the ability to prioritize objectives to align with the vision of the CEO. Successful organizations do not avoid conflict. On the contrary, they sail into potential storms, confident that they will emerge with an even better partnership. 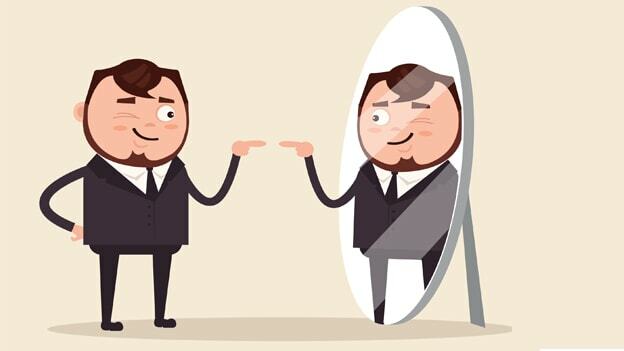 There’s a second important role a good CHRO can play to assist in the creation of a great CEO and that is, the role of a mirror. All of us have intentions that translate into behaviors; these, in turn, translate into perceptions of the behaviors by those on whom the behaviors are imposed. What we forget is the possibility of a disconnect between intent and behavior, and again, between behavior and perception. When there is a divergence, usually, we become aware of it through feedback. We respond by adjusting our behavior to better align with our intent and/or perception. That trial and error course correcting approach often works for you and me. But for a CEO, it’s not as straightforward. For one thing, the CEO’s intent, behavior, and perception cycle has a significantly higher impact on others than does ours. For another, feedback to a CEO is often delayed; the bearer of bad tidings fears becoming a scapegoat. The CHRO can be a mirror to the CEO, reflecting – in real time – the impact of his/her behavior – making visible the gap, if any, between intent and behavior, behavior and perception by the team, the employees, and the organization. No doubt, the CEO will still make mistakes but with a CHRO who is bold enough to speak up timely, errors can be quickly corrected, thereby reducing their negative impact. So, we have two key roles of the CHRO and both require courage. "There is a tide in the affairs of men which, when taken at the flood, leads on to fortune; omitted, all the voyage of their lives is bound in shallows and in miseries." Shakespeare’s words apply as well to the CHRO and to organizations. Those that empower their leaders to fight for what they believe in versus simply conforming to the top honcho's diktat can “make the current when it serves.” The CEO also has a part to play in fostering a mutually beneficial relationship. While the CHRO must demonstrate courage, the CEO must ENcourage the leadership team to feel comfortable with dissent, comfortable to share bad news. En+courage = to make an individual feel courage, to inspire courage – it really is a very symbiotic relationship, a virtuous circle that helps the organization to thrive!